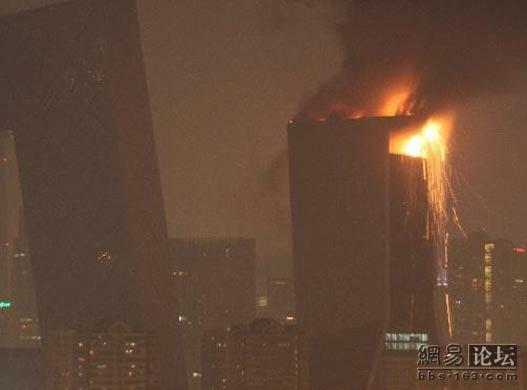 (New York Times) China Detains Building Chief in TV Complex Blaze. 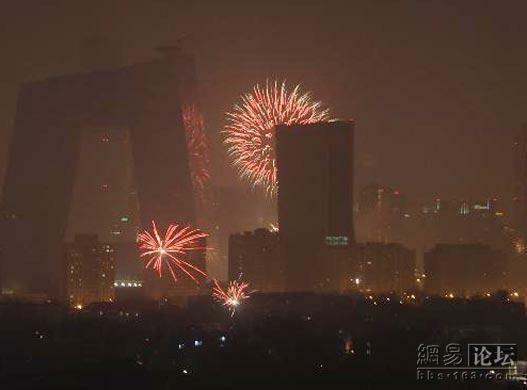 By Sharon LaFraniere. 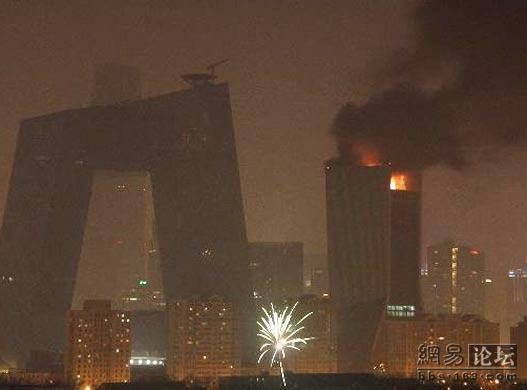 February 12, 2009. 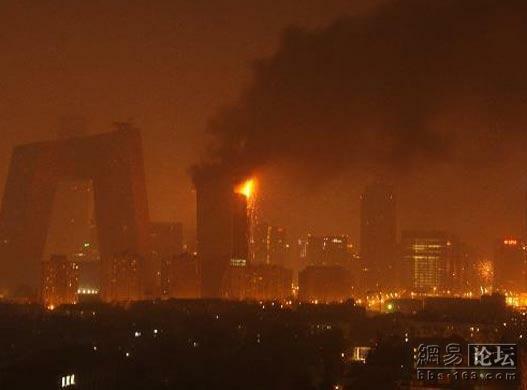 In a spate of arrests announced Thursday, Beijing officials put the blame for a Monday fire that destroyed part of the government’s spectacular new media complex squarely on the shoulders of the state-run television network. 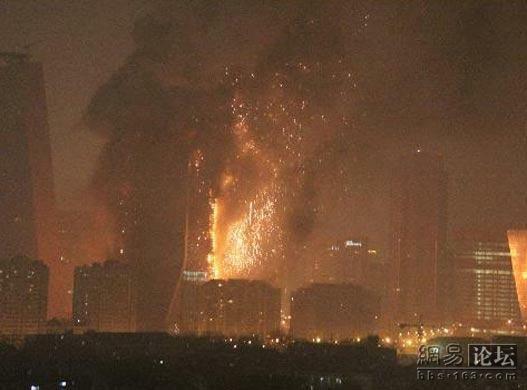 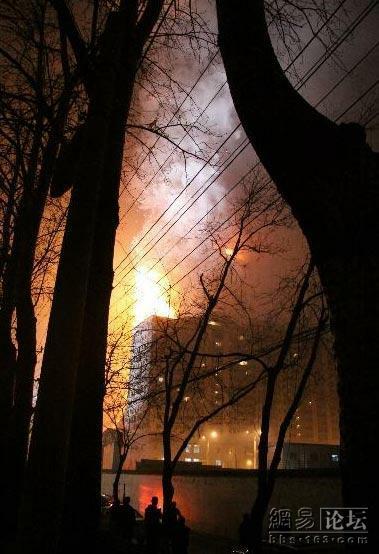 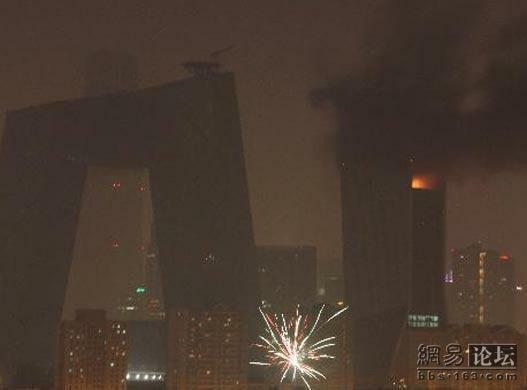 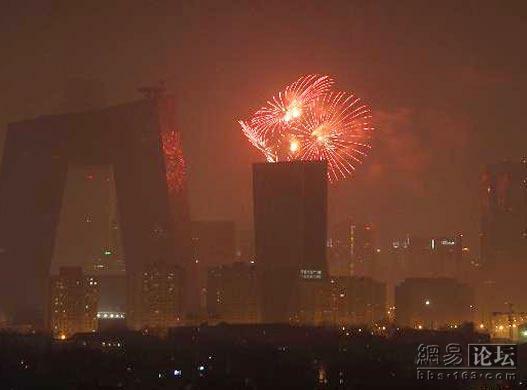 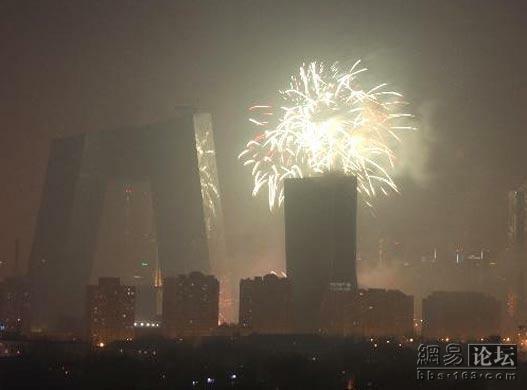 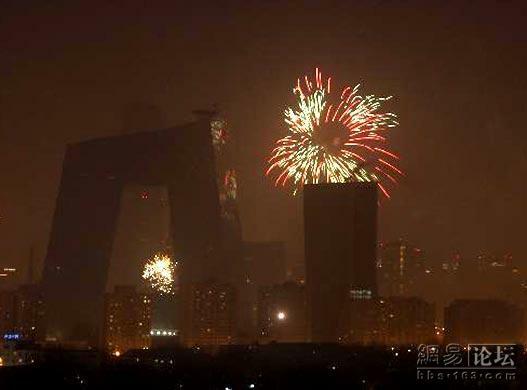 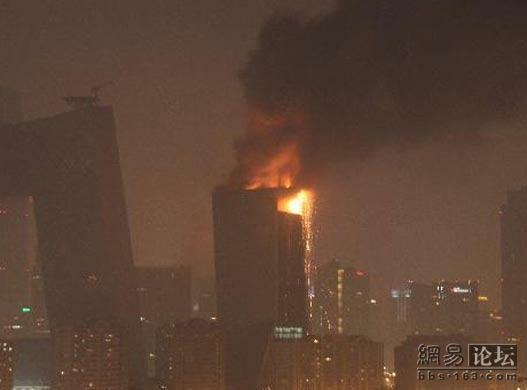 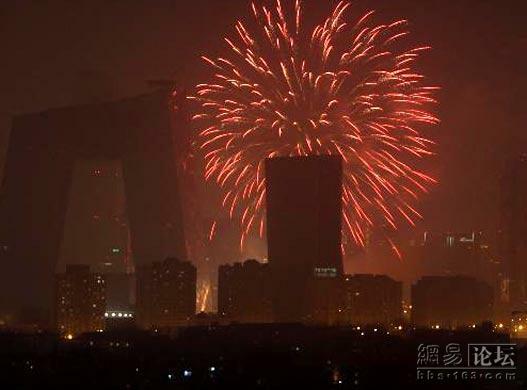 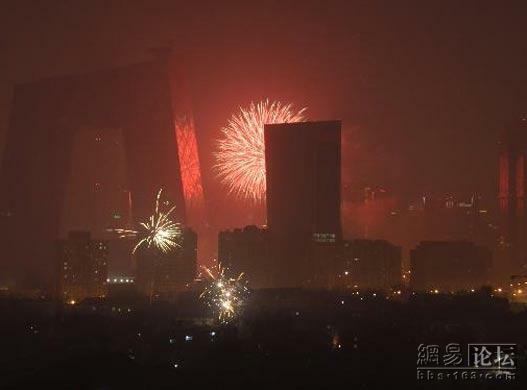 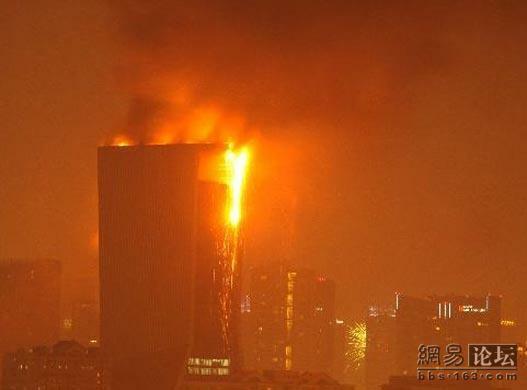 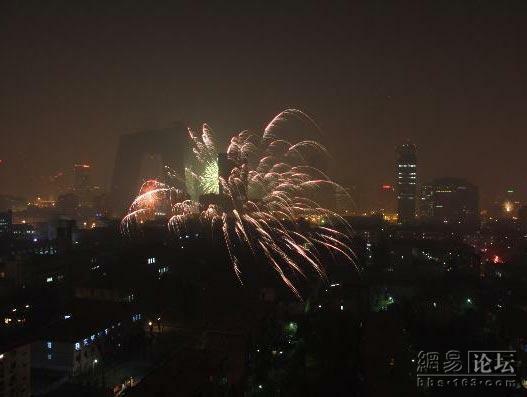 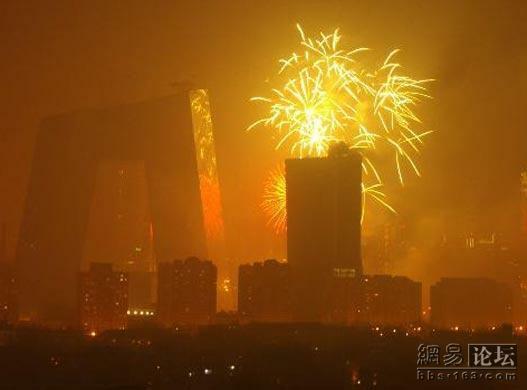 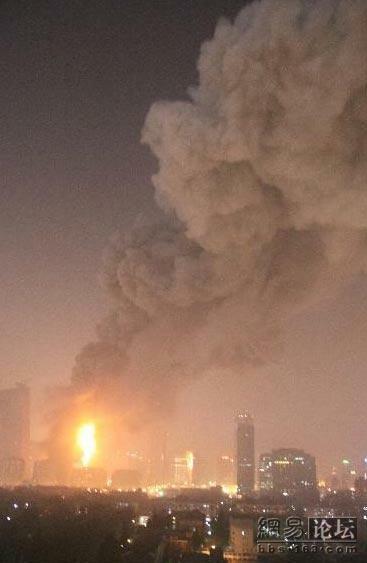 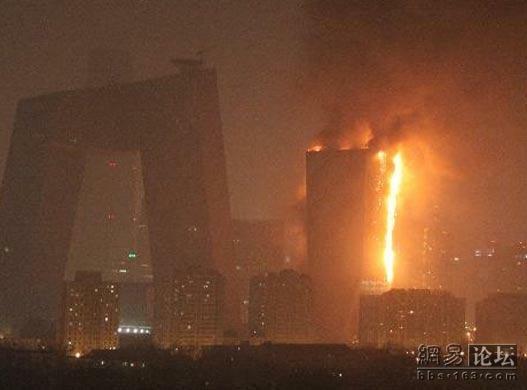 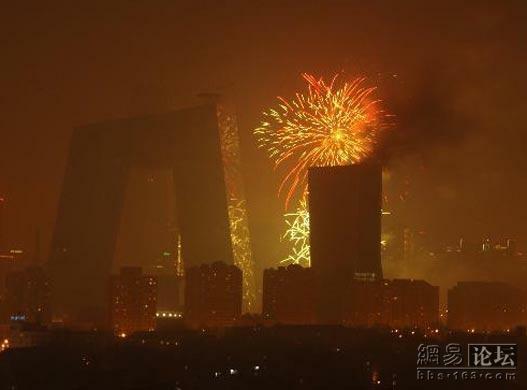 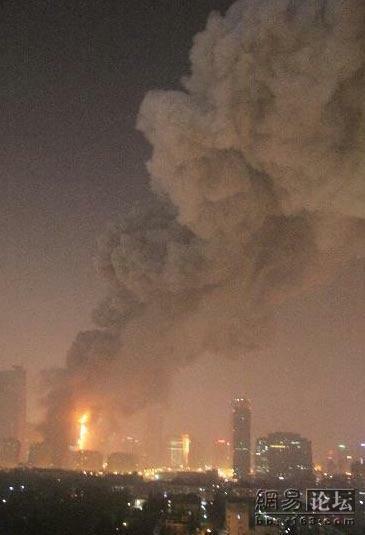 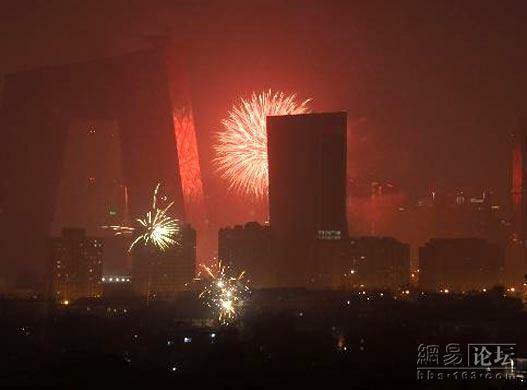 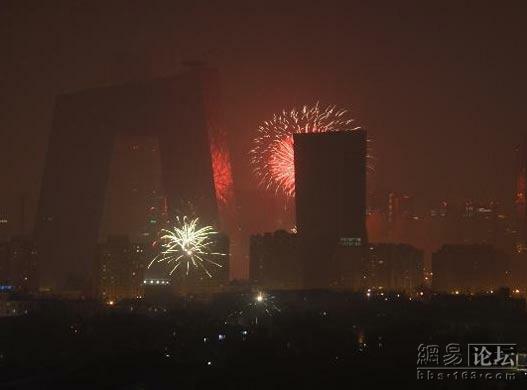 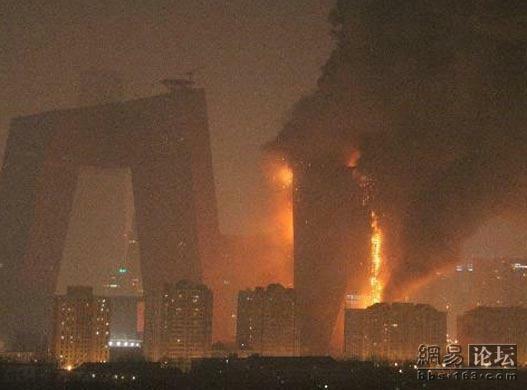 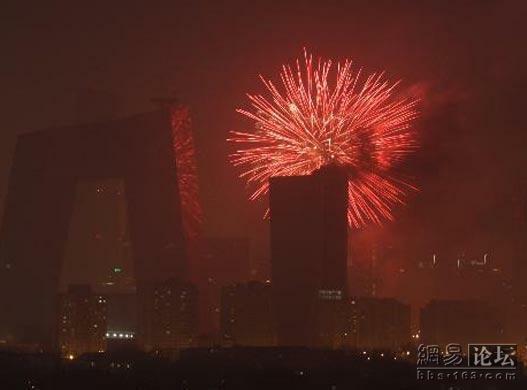 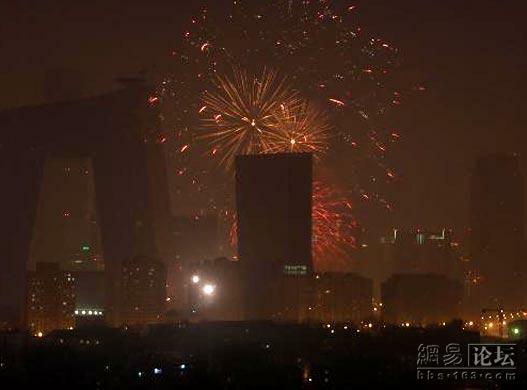 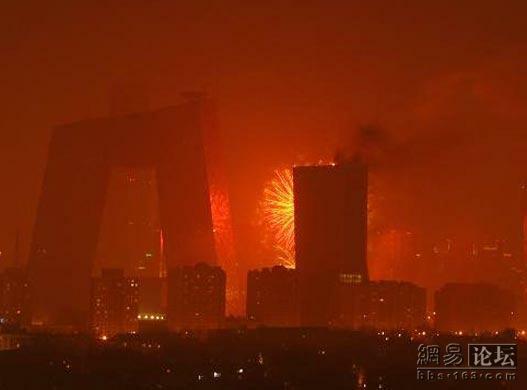 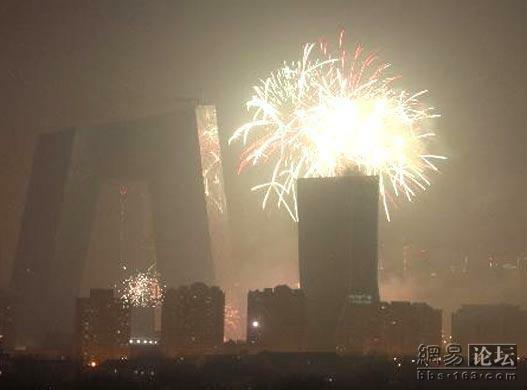 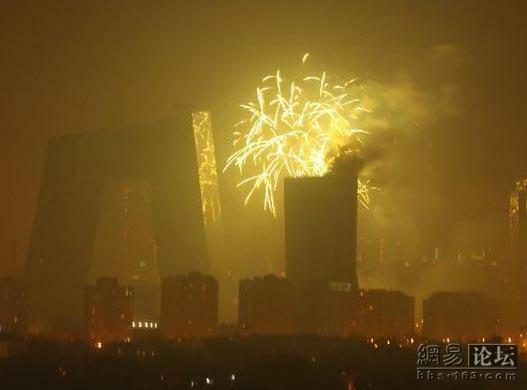 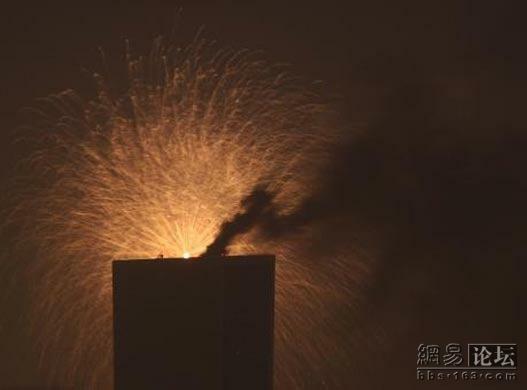 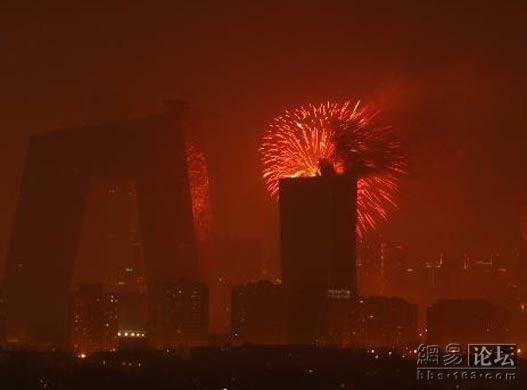 The police detained 12 people, including the chief of construction for the new headquarters of China Central Television, or CCTV, and eight employees of the firm the broadcaster hired to put on an illegal fireworks show that the authorities said ignited the blaze. 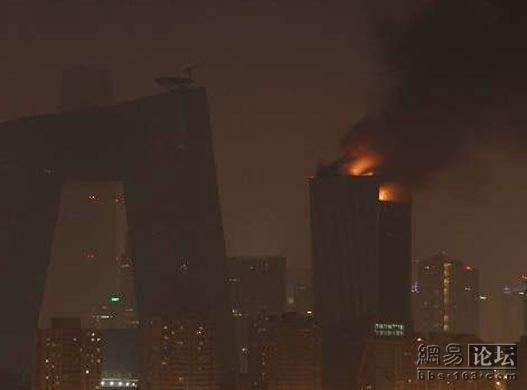 The fire gutted a nearly completed 520-foot-high futuristic hotel that was part of CCTV’s new $1.1 billion headquarters, sometimes described as an architectural symbol of China’s rising power. 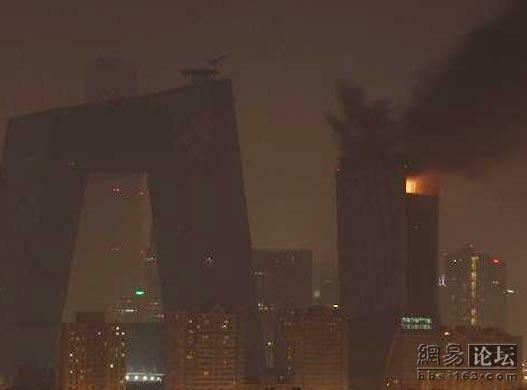 One firefighter died, and seven people were injured. 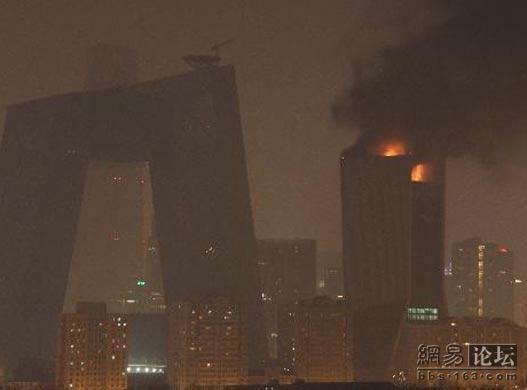 Many questions remain about the fire, including how fireworks could have ignited such an inferno and why the flames seemed to spread unchecked through a modern tower, designed by a world-renowned architect, that would presumably have been outfitted with state-of-the-art fire retardant systems.